"We have fond memories of a friendly man who was very devoted to his family. He "
"For a trooper, & a friend. Rest in the arms of the Lord. It was a wonderful & bl"
"A good man and a great uncle, you will be terribly missed. Love you please say h"
"I see Grandpa Anton in Frank's face. God Grace and Rest to you Frank." "So sorry to hear about your families loss. 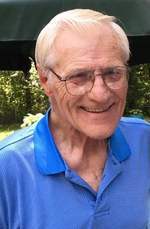 My prayers and thoughts are with you "
Obituary for Francis P. Anton, Sr.
Francis P. “Frank” Anton, Sr., 79, a 20-year resident of Davidsonville, MD and previously of Boston, MA, passed away at his home on January 2, 2018 surrounded by family. He was born on April 5, 1938 in Boston. He served in the U.S. Army. Frank worked as a bowling machine mechanic which led him to his love of the sport of bowling. He later pursued a career as a residential and commercial oil burner technician. He was an avid bowler and was inducted into the NEBA Hall of Fame this past August. Frank was also a New England sports fan taking pride in the Patriots and Red Socks! He also was a life time member of the Amvets (in Boston) and The American Legion Post 7 here in Maryland. His greatest joy, however, was his family and spending time with them. Frank was preceded in death by his parents Frank Anton and Mary (Hart) Anton, his son, Francis P. Anton, Jr.(Tara) and his brother, Robert Anton. He is survived by his loving wife of 57 years, Kathleen Anton; one son, Kevin Castor of Boston; two daughters, Robin (Stephen) Palmer of Katy, TX and Caroline (Joseph) Landry of Davidsonville; a sister-in-law, Joan Anton of Billerica, MA; five granddaughters, Haylee, Amber, Lily, Jaime and Chloe and a grandson, Brian. Friends are invited to celebrate Frank’s life with his family from 2 to 4 and 6 to 8PM on Monday, January 8 at the George P. Kalas Funeral Home, 2973 Solomons Island Road, Edgewater, MD. Mass of Christian Burial will be offered at 11AM on Tuesday, January 9 at Holy Family Catholic Church, 826 W. Central Avenue, Davidsonville, MD. Interment will be private. In lieu of flowers, donations may be made to www.lungcancerresearchfoundation.org or www.aspca.org .